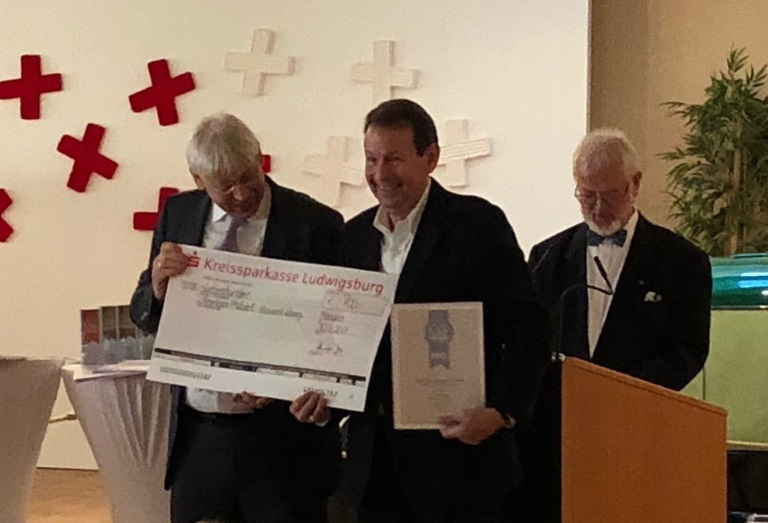 The American Philatelic Research Library received the 4th place award in the Christoph Gärtner International Philatelic Promotion competition for 2017. 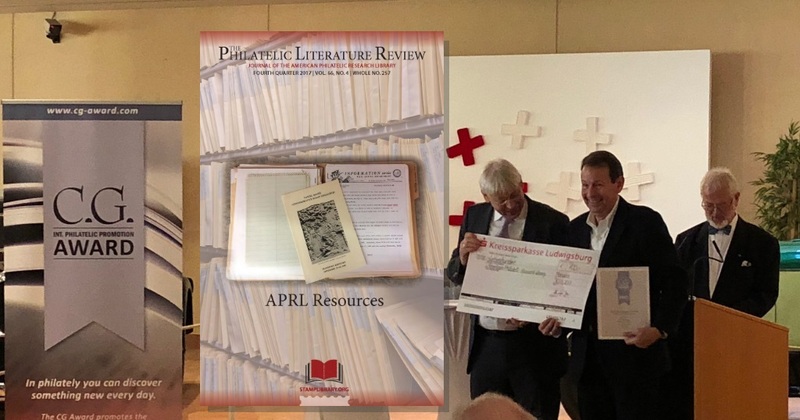 American Philatelic Society President Mick Zais accepted the award and 700€ on behalf of the APRL at the ceremony today in Monaco during the MonacoPhil stamp exhibition. The competition, open to all organizations and publishers of philatelic periodicals, was founded in 2013 to recognize promotion of philatelic research and the preservation of philatelic knowledge through publication. The top prize in this year’s competition went to the Collectors Club of Chicago for the outstanding new book by Hugh Feldman, U.S. Contract Mail Routes by Railroad (1832-1875). The APS took 10th place for The American Philatelist. Congratulations to the APRL and the staff of the PLR! An award well-deserved. I hope you are going to buy some really good philatelic books with the proceeds of the award. CG’s award to the Hugh Feldman book was exactly the right decision. That is an amazing undertaking and a major contribution to the philatelic literature. It is also an object lesson in how to write a postal history research treatise. Gärtner deserves much credit for sponsoring this competition. The names on the list are impressive representatives of our hobby. I was particularly impressed that there were three youth entries on the list.